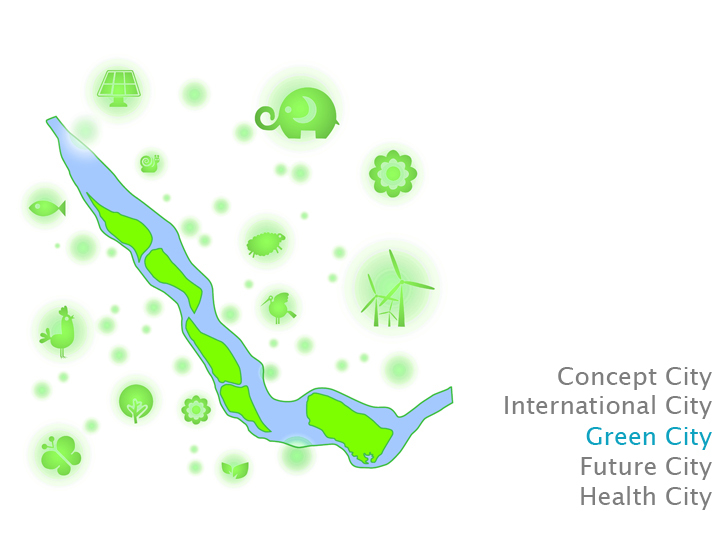 Green Health City is an ecologically sustainable development designed to support and promote the conditions of physical and psychical human health. 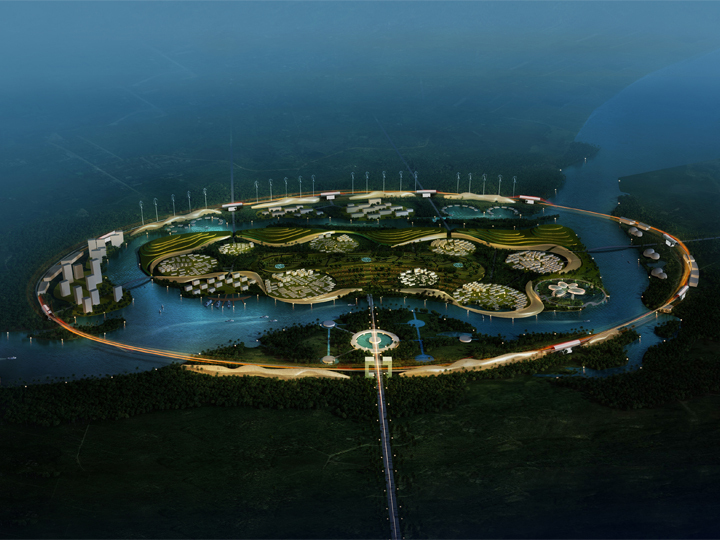 Situated in China’s Hainan Province in Boao Lecheng on the Wanquan River, five island districts bring together world-class medical facilities, employ new strategies for green energy production and rethink transportation networking to achieve a sustainable urban prototype. Pathways toward a sustainable future are forged through strong ties to local identity and respect for history. By establishing a cross-disciplinary and intercultural approach to design that is routed in China’s long history, a comprehensive and well considered scheme is achieved. 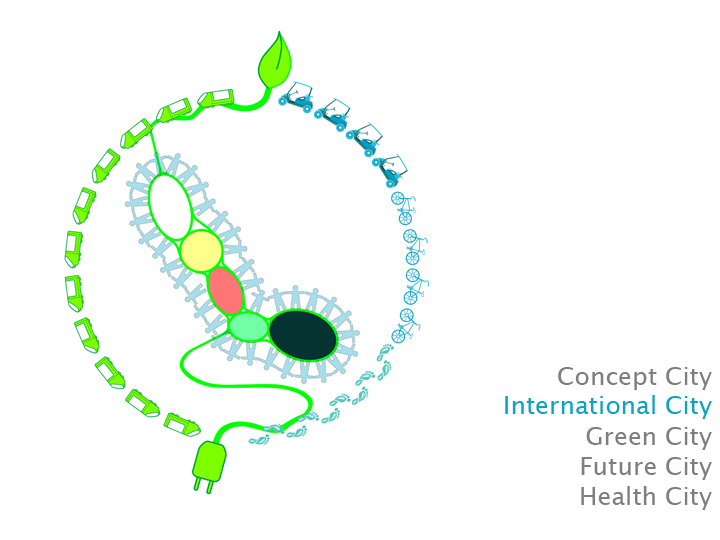 A system of design is guided by concepts related to: 5 Elements – City of Creation; 5 Organs – City of Health; 5 Senses – City of Communication; 5 Islands – City of Relaxation; and 5 Rings – City of Individual Transport. 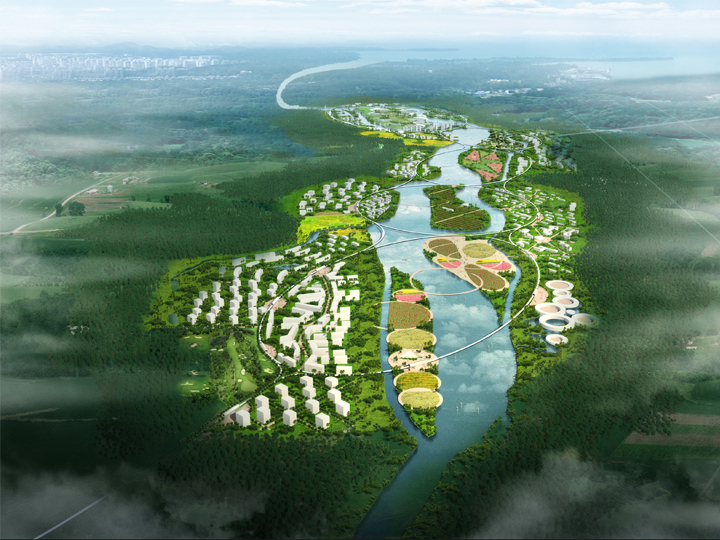 Balance between these cycles and systems is applied to create a harmonious planning arrangement, promoting positive energy flow within each of the island districts and throughout the development as a whole. 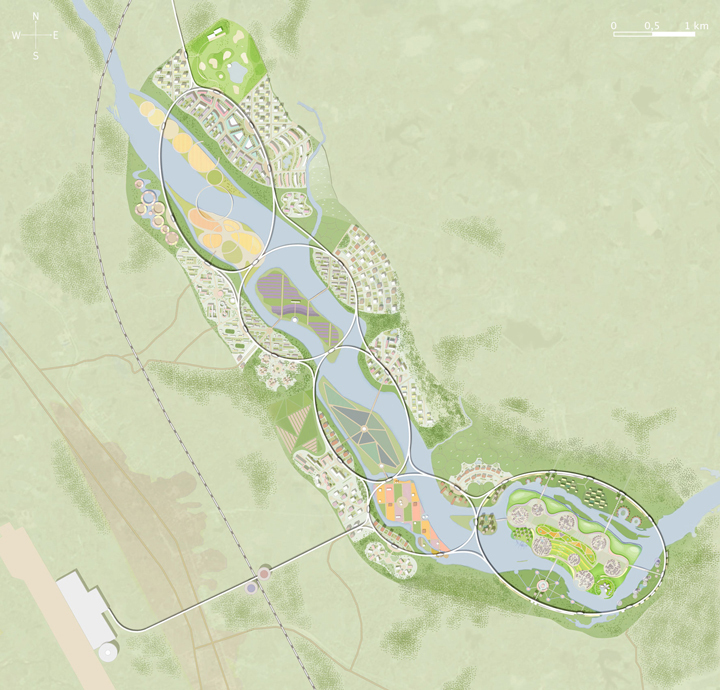 Sustainable urban design that prioritizes natural land use and planning strategies, minimizes energy consumption, and reduces building footprints. 70% renewable energy production facilitated through the use of wind turbines, bio gas, photovoltaic cells, hydraulic systems and smart grid energy saving devices, for the storing and distribution of power, will service this 100% CO2 neutral development. Environments that promote health include a combination of facilities that treat illness and assist well-being through a five star process involving diagnosis, cure, rehabilitation, rejuvenation, and prevention. 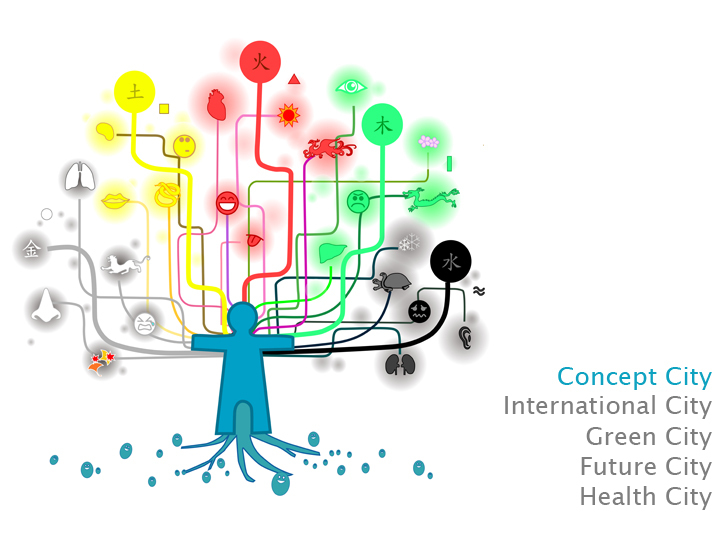 Check-up programmes with a special focus on geriatric care management and facilities specific to the development and application of stem cell research form the nucleus of the development complex. Direct access to electro bus, e-car, bicycle hire services and a general circuit elevated magnetic railway network, that uses zero emission rechargeable battery operated power, offers a variety of flexible and sustainable transportation options. 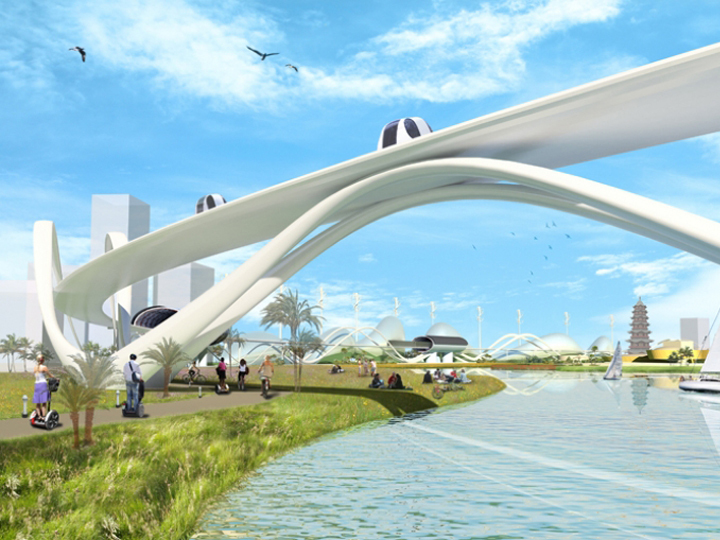 All private and fossil fuelled vehicles will remain outside the development complex, and a fully integrated transportation system is provided. 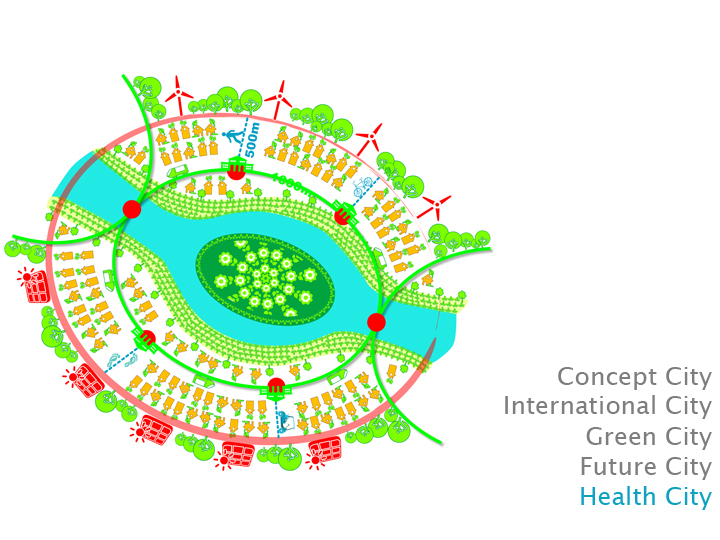 In cooperation with the Berlin hospital Charité, knowledge and expertise of more than 100 clinics and institutions worldwide will assure Green Health City a place at the international forefront of health care development. 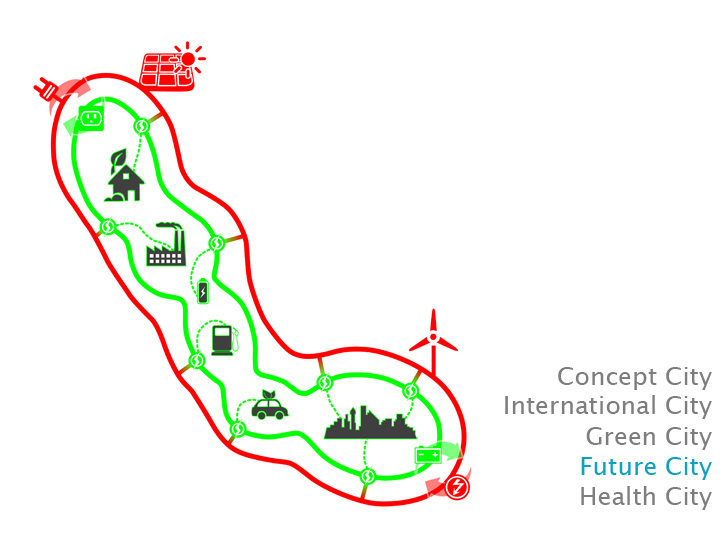 This scheme pioneers new models for sustainable development in China’s health care market, offering a gift from China to the world for keeping our blue planet healthy and green. 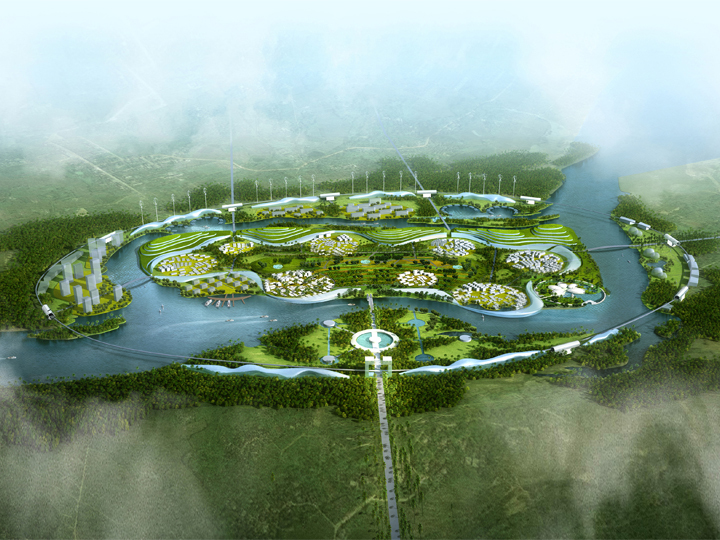 Green Health City has been presented at the Boao Forum for Asia Annual Conference in Boao, P.R. 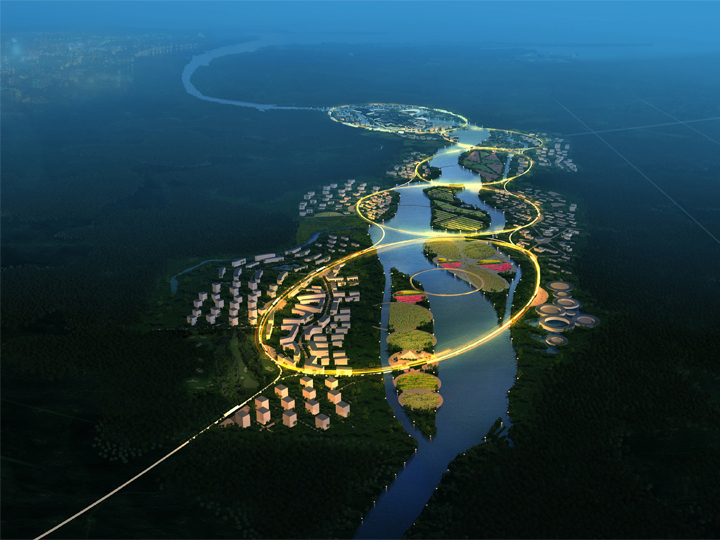 China, the United Nations RIO +20 Implementation Summit in Berlin and the 9th Asia Pacific Week Berlin, as a prototype for new health infrastructure and urban design strategies that pave the way toward future green city development.